Teaser for Fears Unfolding’s upcoming album! 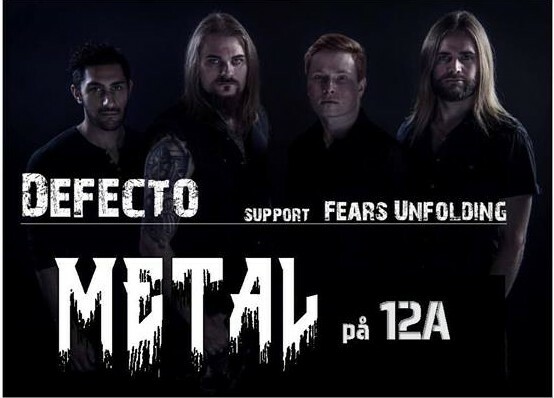 Fears Unfolding playing live on August 11 2017 at 12A in Hjørring opening for DEFECTO. Attention! Fears Unfolding will be opening for Defecto on Thursday August 10 2017 at 12A in Hjørring, where we will be playing songs from our upcoming debut album. We are extremely happy to again be playing with Defecto who have enjoyed recent tremendous success opening for heavyweights Metallica and Rammstein! Join us for an evenng of awesome heavy metal! You can buy tickets and get practical information here. The whos starts at 19:00! See you there. Debut album entitled From The Ashes released!